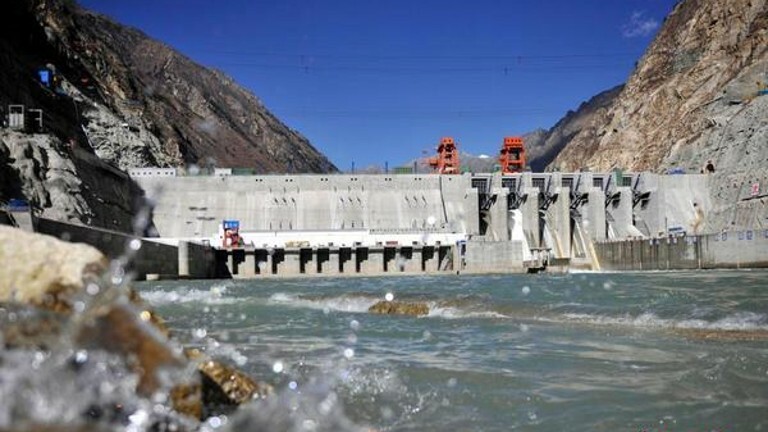 (TibetanReview.net, Oct16, 2015) – China has sought to allay downstream India’s concerns over its operationalisation in occupied Tibet on Oct 12 of the Zam Hydropower Station, the largest hydro-electric power dam it has built over the Yarlung Tsangpo river. “On the issue of exploration and utilization of cross-border rivers, the Chinese side will give full consideration into its impacts on the lower reaches in a sense of responsibility,” China’s online Tibet news service eng.tibet.cn Oct 14 quoted Foreign Ministry spokesperson Hua Chunying as saying during a press briefing in Beijing. She has said China will cooperate with India on the issues arising from the damming of the river, which is called the Brahmaputra in India. “China and India are in sound communication on this through the expert-level mechanism. We are willing to continue such kind of communication and cooperation with the Indian side on the relevant issue,” Hua was quoted as saying. The 2,900-km river flows southeast from remote western Tibet through the Himalayas into northeast India’s Arunachal Pradesh before entering Bangladesh and merging with the lower section of the Ganges, when it empties into the Bay of Bengal. Chief Minister Tarun Gogoi of the Indian state of Assam, which will be directly affected by any tinkering with the flow of the river, said China’s operationalising of the hydro-power station in Tibet will cause irreparable damage to his state and other parts of the Brahmaputra basin, reported India’s PTI news agency Oct 14. China building 3 dams over Yarlung Tsangpo river?